This statistic represents the number of passenger cars involved in fatal crashes in the United States from 1995 through 2016. In 2016, there were almost 20,800 passenger cars crashes in the United States. 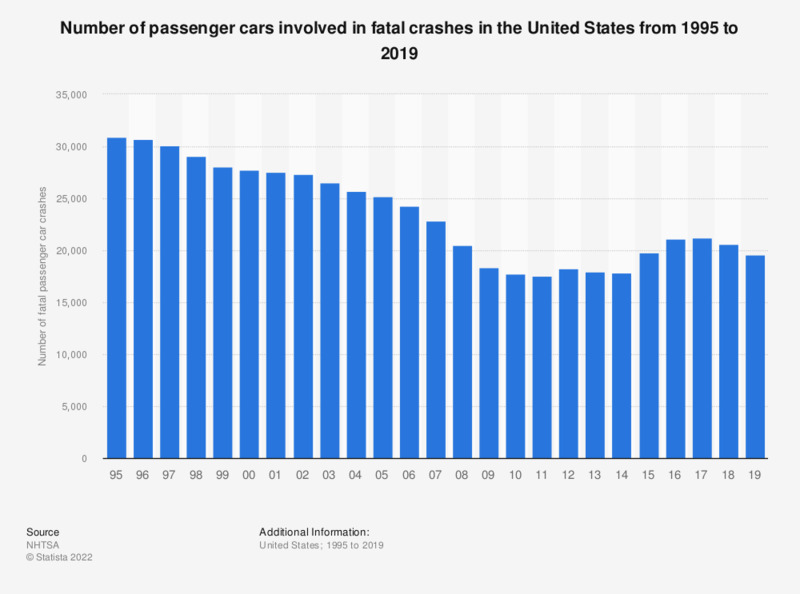 While the number of registered passenger cars in the United States increased by around 6 million units between 2011 and 2015, the number of passenger cars involved in fatal crashes concurrently increased by approximately 2,000 cars. Select Table 42 in the corresponding website.